Once you’re done jet skiing at the beach and gorging at the best hotels in town, it’s time to fill your shopping bags. Loved ones back home will keep their hopes up for a souvenir, some would have even sent you a list. 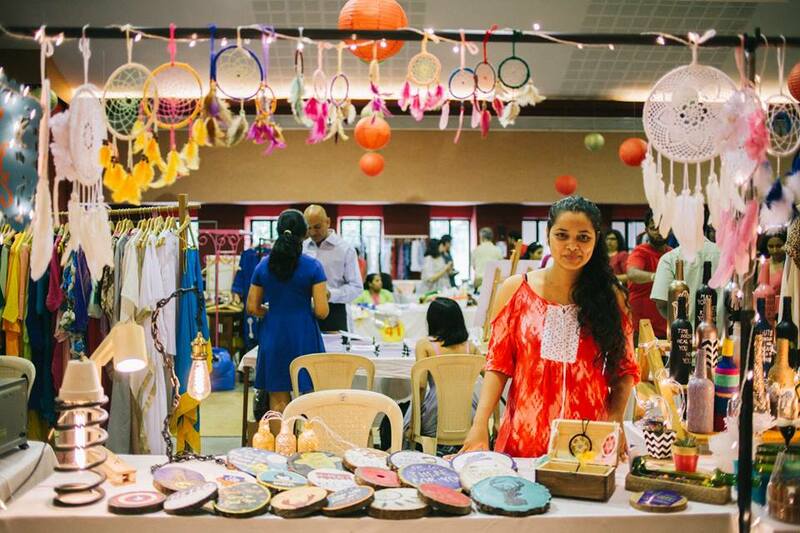 From Saturday Night Market Goa to Pop Up Bazaars, Shopping in Goa just got a lot easier with a number of local markets emerging from time to time. 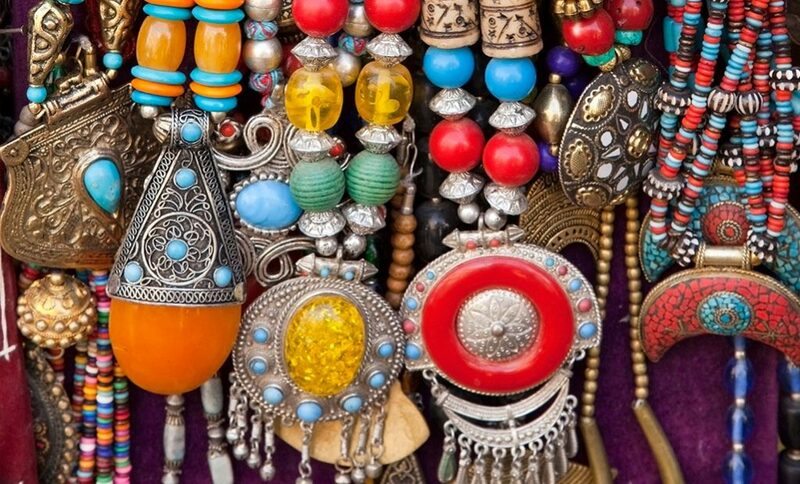 This upcoming trip, ditch the shopping malls and boutique stores and throng Goa’s flea markets to polish your bargaining skills. With the latest fashion trends on display at amazingly low prices, shopping till your heart’s and wallet’s content won’t be a problem. This buzzing night market comes to life in the evenings and on a good day, stays open till 2-3am into the night. Come here for just about everything from jewelry to garments to antique show-pieces to artistic creations. If you’re lucky, you might also catch a concert or live performers entertaining the crowd at the Centre Stage. 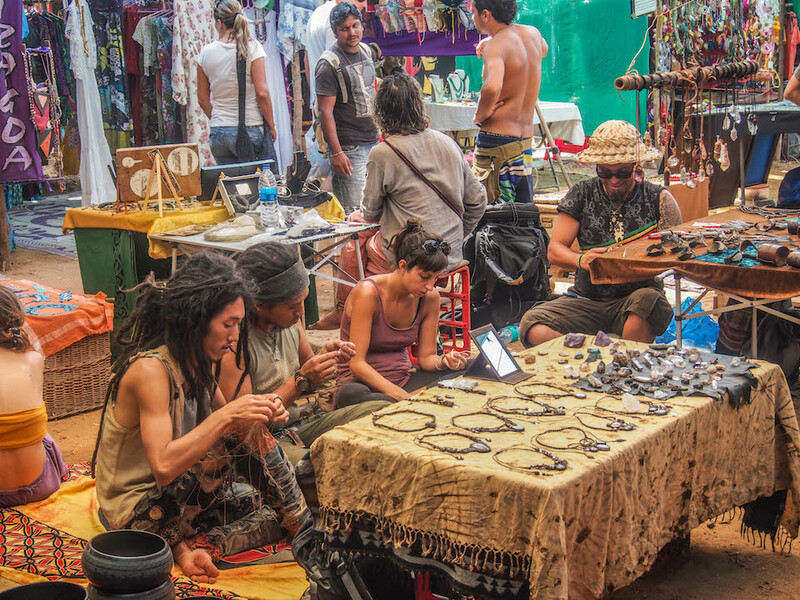 Divided into 3 areas, the Saturday Night Market makes shopping a true delight. The Lower Field features exotic Indian items such as carpets, cushions, bed spreads, printed garments and also designer apparel, accessories and other wearables. At the Central Field, one can sample international cuisines from Italian to Moroccan at some of Goa’s most talked about restaurants. Later, you could also hop into a bar for a pint of beer while enjoying a night of musical vibes. Up the ascent at the far end of the market, the Upper Field features stalls by local as well as international designers. It is also home to the Boutique House Bar that serves drinks, cocktails and has live DJ sets. Making the most of Panjim’s pleasant monsoon weather, POP It Up Goa is a vibrant fusion of local artists, entrepreneurs, designers, foodies, photographers and much more. 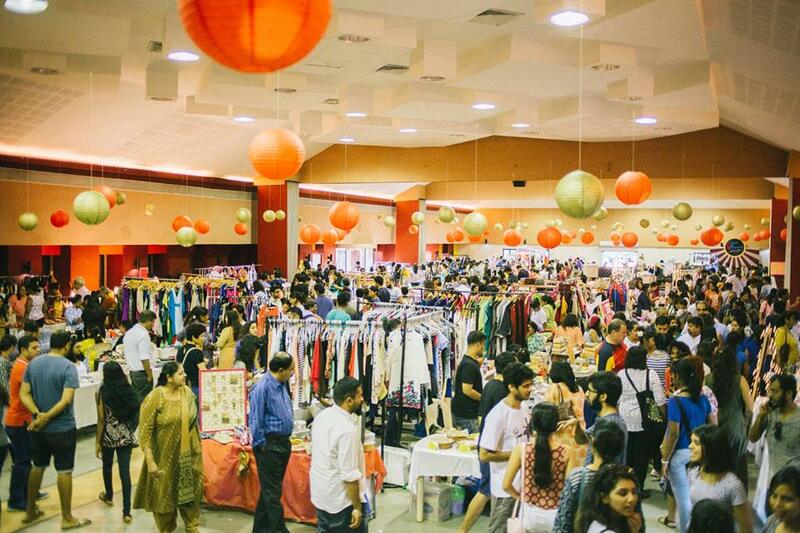 A one day affair , it aims at interaction between the stall owners and customers so as to connect more people together and revel in an evening of relaxed shopping and entertainment. This monsoon flea also consists of a wide variety of food stalls. 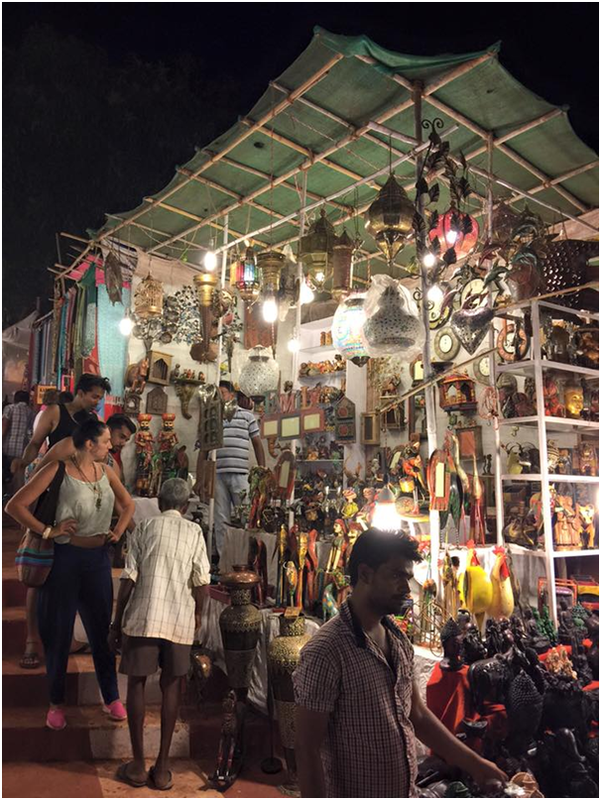 Mackie’s Night Market transpires on the banks of the Baga River every Saturday evening, presenting the crowd with antiques to fabrics to jewelry to choose from. Food and fun are also an integral part of this night market. 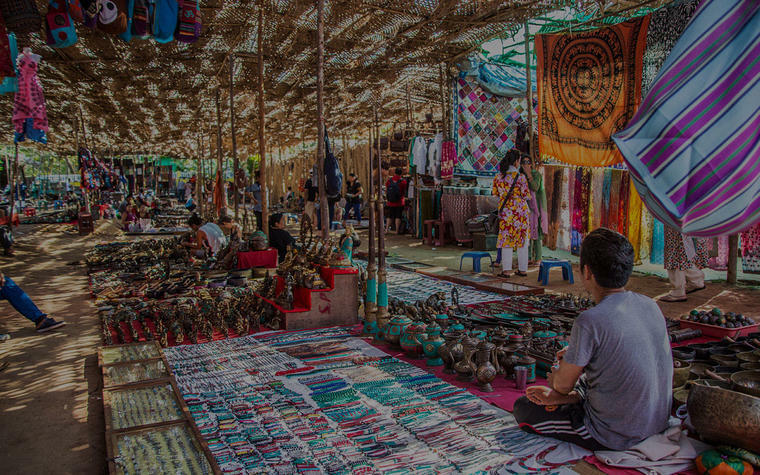 If you’re a born haggler or a hippie by heart, this flea market on the sands of Anjuna Beach comes alive just for you. 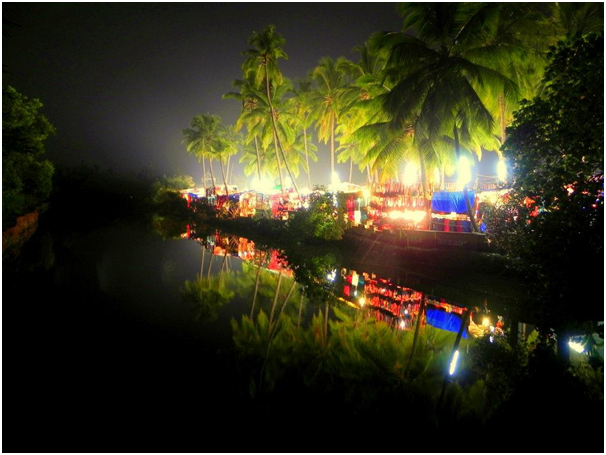 It first originated as a place for hippies frequenting Goa to trade in their old wares and buy new possessions. Today, you can find just about anything that would adorn you or your home at this diverse market. Semi-precious jewels, spices, ‘dreamcatchers’, wall-hangings, footwear, healing crystals are just some of the many offerings sold here. 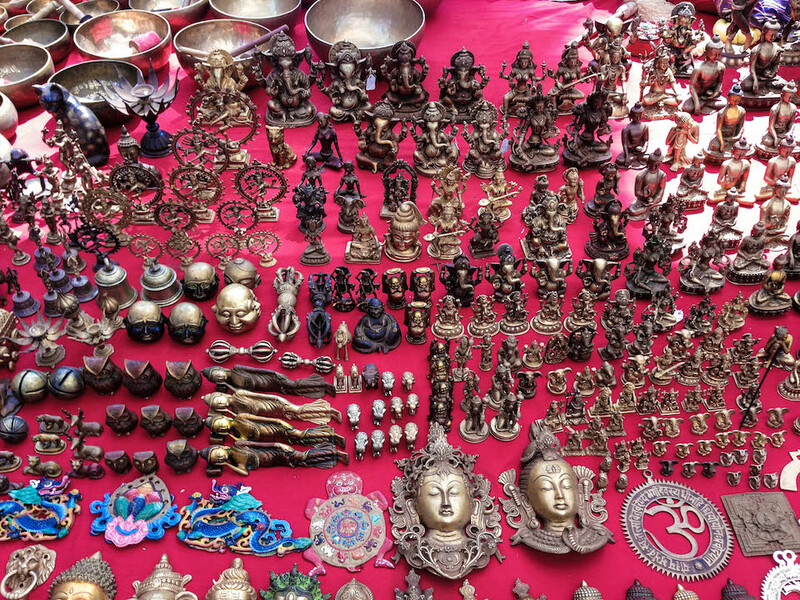 The Wednesday Flea Market also features a Tibetan section selling handicrafts, handmade accessories and other apparel. The Nepalese section, in turn, has thick fur coats for and woollens on sale, just in case a blizzard blows through Goa. Backpacker and seasonal travellers also sell their lures here nowadays, with many of the products such as T-Shirts, skirts and fanny packs locally produced in Goa. Come here for an afternoon of bargaining and an evening of calm by the beach with a platter of seafood to gorge on. If you’re put up at Calangute, then this bazaar is a must-stop. Just a stone’s throw from the beach, the market is thronged by locals to stock up on fish, meat and groceries. Kashmiri textiles, embroidered fabrics and carpets are a special feature. 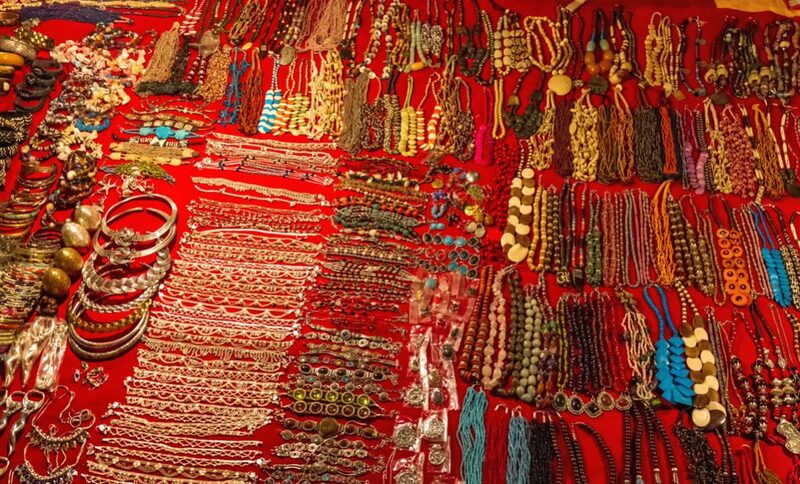 Tibetan wares such as metal bowls, antique show-pieces and other jewelry are also on sale. 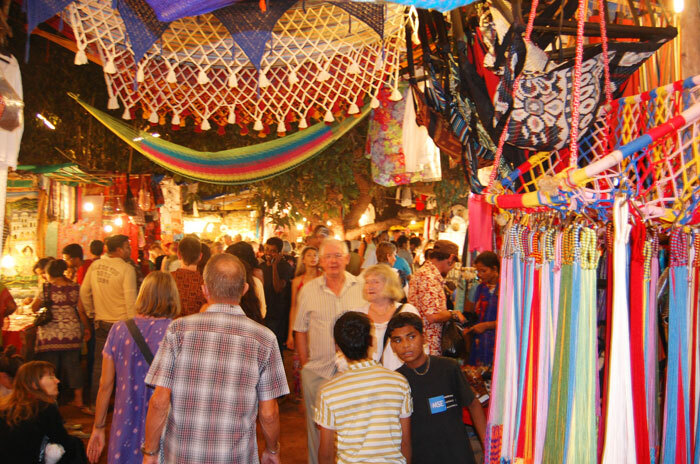 Calangute Bazaar is the perfect spot for a busy morning of souvenir shopping. Bargain your way through the market and you might just bag some hidden gems.